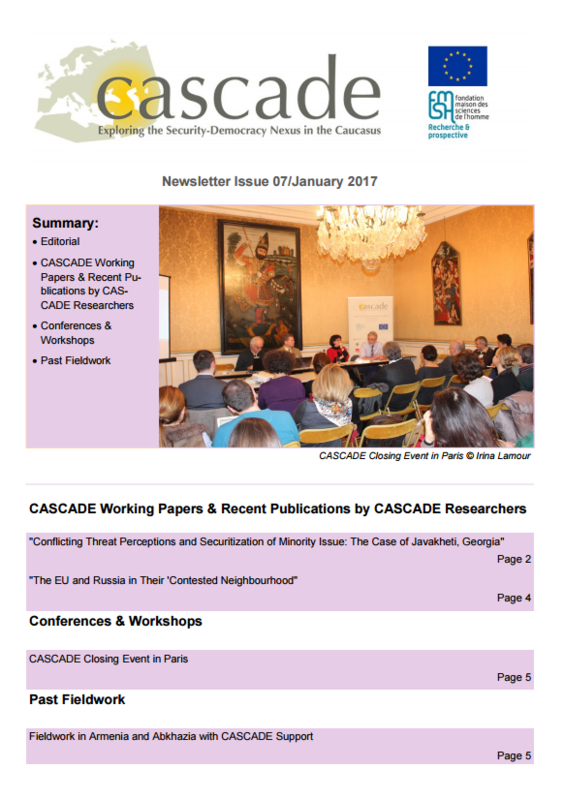 The issue n.7 of CASCADE Newsletter is out! In this final issue you will find information on recent publications by CASCADE researchers. You can also discover past events as well as fieldwork reports. We would like to thank our followers for reading our newsletters. 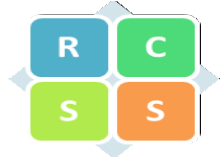 We will be happy to continue our cooperation as part of the upcoming network of Caucasus researchers. The purpose of the study is to examine the relationship between the Georgian state and its ethnic Armenian minority community of Samtskhe-Javakheti. 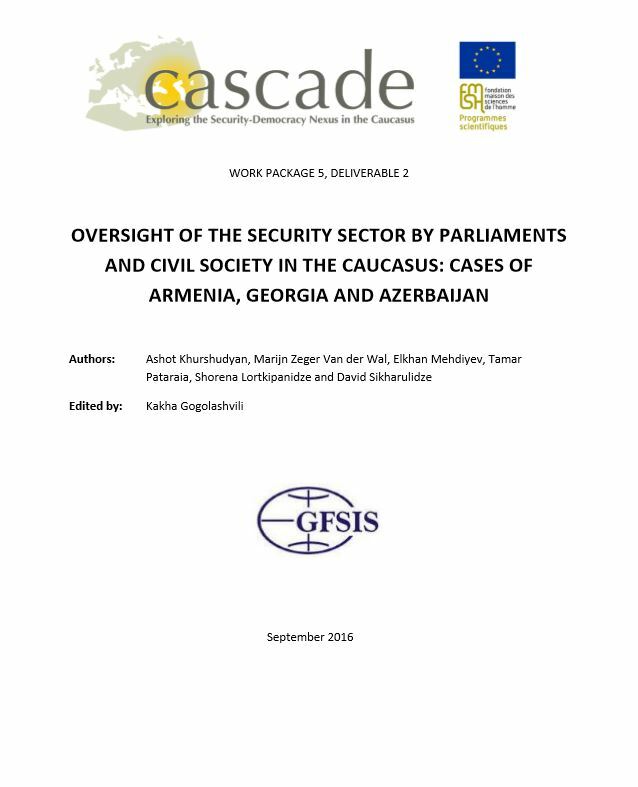 Specifically, the article considers Georgian State’s approach to the national question involving challenges of the state building efforts in the context of ethnic diversity and democratization, current issues and challenges hampering socio-political cohesion on the background of existing preconditions and legacies of 90s and 2000s. It examines conflicting threat perceptions from majority and minority leading to considering minority question through the prism of national security rather than human rights from one side and from another viewing a State as a source of threat vs. provider of security. On 27 January 2017, CASCADE partners will be gathering for the project’s closing event in Paris. The meeting will provide an opportunity to discuss the project’s outcomes. The meeting will take place on 27 January 2017 at “Salons d’honneur de l’INALCO” (2, Rue de Lille, 75007 Paris). The agenda of the event can be found here. The fieldwork for Cascade was conducted in the wake of a round table on “Christians and Muslims, a comparison France/Russia”, organised and funded by INALCO and CEFR in Moscow and Kazan, where Silvia Serrano presented a paper on how framing “radicalisation” influences anti-radicalisation policies, in France and Russia. The fieldwork was conducted in Moscow and Kazan. It aimed at collecting information about social or benevolence activities of the Muslim communities in the various regions of the Russian Federation, with a comparison between the North Caucasus, Moscow and Tatarstan. It aimed also at understanding the links between social activists from the North Caucasus and Tatarstan. – participant observation of a seminar about financing and organising aspects of benevolence, for imams coming from all over the Russian Federation. 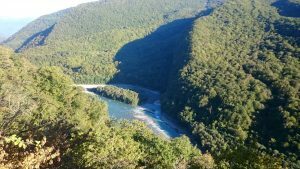 In September and October 2017, CASCADE researcher Florian Mühlfried has conducted three weeks of fieldwork in Abkhazia. The fieldwork was embedded in his participation in WP6 dedicated to “Religion and Politics”. The main focus of this exploratory trip was and the relation between the state and the three instutionalised religions in Abkhazia. 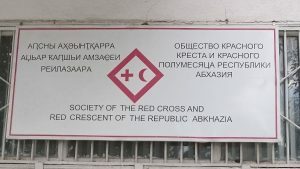 In Abkhazia, religious pluralism is a state-sponsored project. In Addition to Orthodox Christianity and Islam, so-called traditional religion has gained official recognition. Multi-culturalism and secularism are the ideological underpinnings of state-practiced religions pluralism. 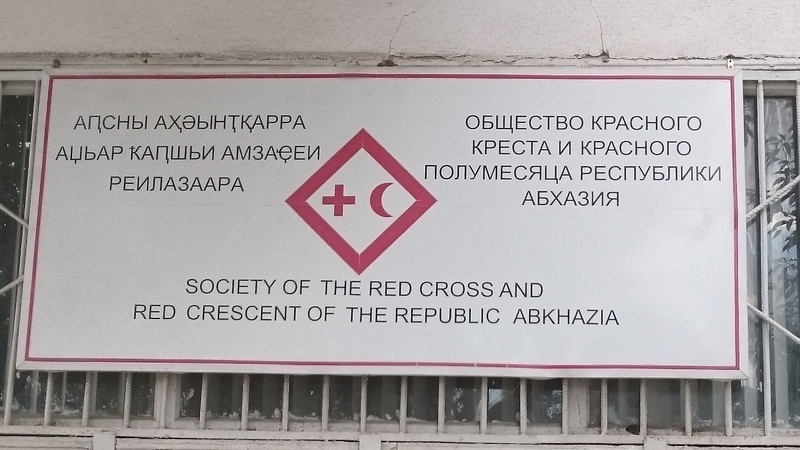 This differentiates Abkhazia from other de facto or de jure countries in the Caucasus where the project of post-soviet state making is tightly interwoven with the revival of one religious institution such as Orthodox Christianity (e.g. in Georgia) or Islam (e.g. in Chechnya). Fieldwork was mainly taking place in the Abkhaz capital Sukhum(i) and consisted of interviews and participant observation. Trips to sacred sites such as churches and “folk shrines” completed the picture. Overall, the main task of this fieldwork project was to allow for comparisons with other parts of the Caucasus the fieldworker Florian Mühlfried is more familiar with. 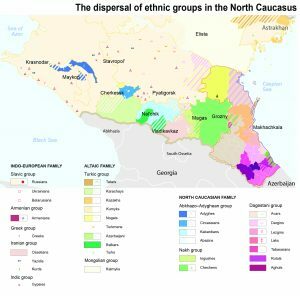 The CASCADE Atlas of the Caucasus, a regional and methodological challenge. The Caucasus is difficult to describe with single and simple approaches. First of all, because of its diversity: it is not for nothing that it was called the “mountain of peoples”. The complexity of the administrative map, now divided into four states, themselves subdivided into eleven lower entities inherited from the Soviet regime, three of which are unrecognised secessionist regions, is matched only by its ethnic or religious complexity. Any study, irrespective of its methodology and discipline, historical, geographical, geopolitical, economic or social, encounters this complexity at the risk of abusive simplifications, however these are frequent in the literature and in the reports published by national or international organisations. We are all looking for accessible tools, corpus of texts, chronologies, statistics and maps likely to help us to put some order or readability to this complexity. But can we rely on these instruments in a region plagued by tensions and conflicts, some of which are “frozen” and trigger contradictory historical narratives, a region where a significant part of the economy is considered as “gray” or “parallel”, and where refugees or displaced persons constitute a significant part of the population? By proposing to publish at the end of the CASCADE project a new Atlas of the Caucasus, we knew that the challenge was great. The simple gathering of official statistics in this fragmented area, whose methods of calculation are undoubtedly near to international standards but keep a lot of specificities, was the first challenge. Much of the data does present at the scale of the entire region. Others present biases such that their extrapolation raises more questions than answers for our analyses. But it is also by reflecting on the defects this statistical and spatial shadow game that one reveals the underlying stakes. * The CartOrient project was initiated jointly by the UMR 7528 Mondes iranien et indien (CNRS, Sorbonne nouvelle – Paris 3, INALCO, EPHE) in collaboration with the EA 4513 Centre Europe Eurasie (INALCO). It is supported by the COMUE University Sorbonne Paris Cité (USPC). "L'Arménie à l'épreuve du feu. Forger l'Etat à travers la guerre"
For more than 25 years Armenia and Azerbaijan have been conflicting over a small mountainous enclave called Nagorno-Karabakh. When early Soviet leaders decided to place this mostly Armenian populated region within the territory of neighbouring Azerbaijan they unwillingly triggered a time-bomb that started ticking in the last years of the USSR: as soon as national movements stirred the Soviet Union, Armenian claims for reunification with Nagorno-Karabakh stood at the forefront of the empire-wide tides. But whereas the USSR was slowly breaking down, the Karabakh question exploded. 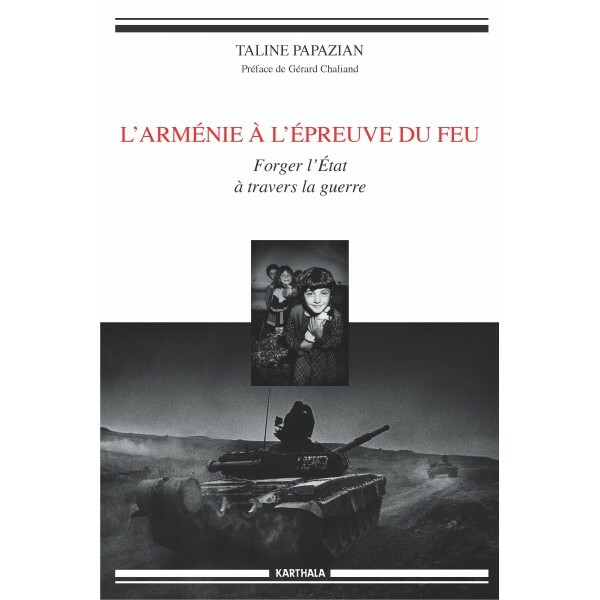 Puzzling as may seem, this book demonstrates how war has provided military, political and ideological resources to the building of the Armenian state. A cease-fire, reached in 1994, has by and large contained the conflict, yet still very much alive as the resurgence of war in April 2016 amply evidenced. Paradoxically, the stabilisation of the cease-fire in the mid-2000’s has coincided with growing threats against the permanence of the Armenian state, this time of another, more insidious, kind. In open warfare, as much as in the absence of peace, Armenia has been subjected to the trial of fire. After winning the first round, the task of consolidating the state as an instrument of governance rather than of war will be the real token of success. The Karabakh conflict and its inherent relations with the hazards of the Armenian state in the contemporary period find their place in the long-term history of nationalisms in Southern Europe since the early 20th century, at the crossroads of European, American, Russian and Turkish diverging interests. A regional political crisis with international consequences the settlement of which is constantly deferred, the Karabakh conflict encapsulates all contemporary geopolitical challenges of the former Soviet area: thanks to it, Moscow successfully clings on the role of arbitrator in the dispute between Armenia and Azerbaijan and of game master in the whole South Caucasus. Nagorno-Karabakh shares features with other ethno-territorial conflicts inherited from the USSR. 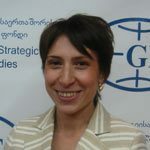 Nevertheless, its geostrategic scope reaches much further, being the key to an eventual new deal in geopolitical relations between the three South Caucasian states (Armenia, Azerbaijan and Georgia) and their international partners: the European Union, the United States, Russia, Turkey and Iran. Find more information on the book. 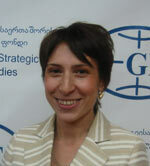 Private enterprise is a major driver of socioeconomic development in the regions of the North Caucasus. The inventiveness and hard work of the local population, its responsiveness to the changing market situation have fostered prosperity in some of the region’s households. This especially stands out during visits to the republics of the North Caucasian Federal District (NCFD), where the local initiative favoured the appearance of various types of commodity production, both in the sphere of agribusiness and in small manufactories. However, it is not possible to talk of sustainable development in the region: success stories involved primarily private backyards, smallscale production, or the service sphere and they have not transformed into regional development. The region counts among laggards in the Russian Federation and stands out, at the same time, as a large-scale shadow economy. The problem of providing it with a socioeconomic and political future remains open. This paper maps successful private-enterprise economic projects in the NCFD. 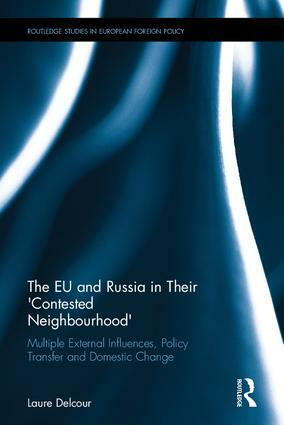 It focuses on the causes that hinder the expansion and viability of modernisation processes in North Caucasian society and emphasizes their noneconomic nature. It shows that the universal mechanisms of socioeconomic development are insufficient to solve local problems. Tailor-made strategies are required, involving not only investments and institutions but also measures of indirect influence resting on shared values. 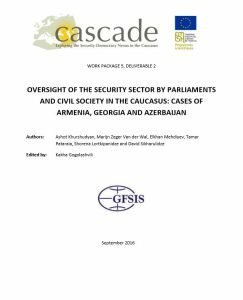 In conclusion, the paper provides recommendations that (in the authors’ opinion) could help overcome the gap between the economic and sociocultural modernisation of society, thereby facilitating the development of the North Caucasus. Read the full version of the working paper. Oversight of the security sector is one of the most important issues which directly affects the prospect of democratic development of countries. 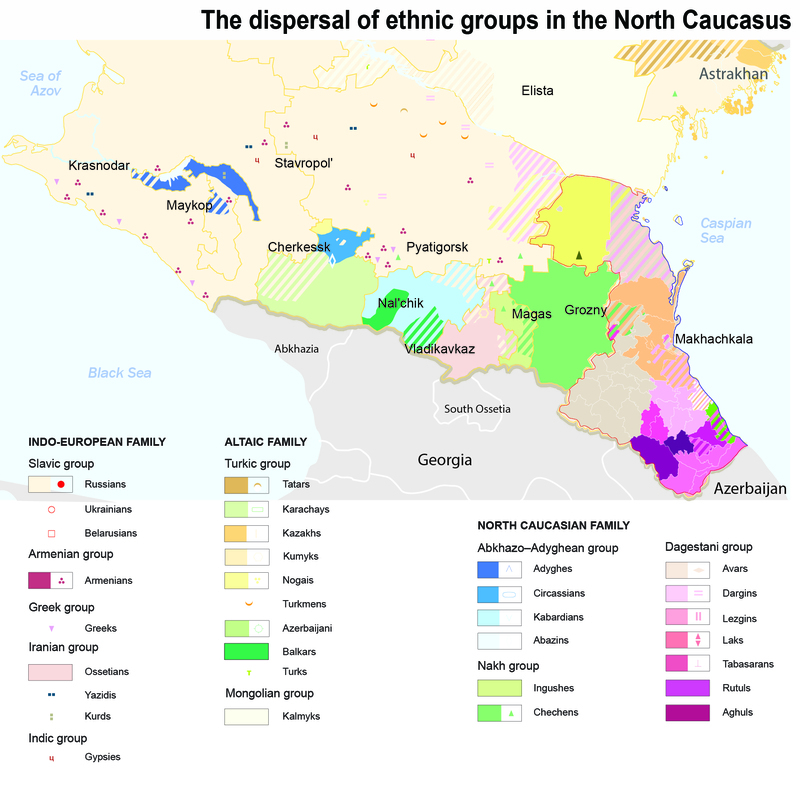 The past and recent history of all three South Caucasus states involves the Soviet legacy and continuous internal conflicts and wars, political instabilities and violence. These circumstances has caused the securitization of the political environment and practically all areas of public life and favour the concentration of excessive powers in hands of the military and law enforcement bodies. In some cases the political order relies on institutions or key personalities in army or law enforcement structures. Obviously, the weakness of democracy calls into question the ability of institutions and the general public to oversee the actions of the security bodies. This project has received funding from the European Union's Seventh Framework Programme for research, technological development and demonstration under grant agreement no. 613354.